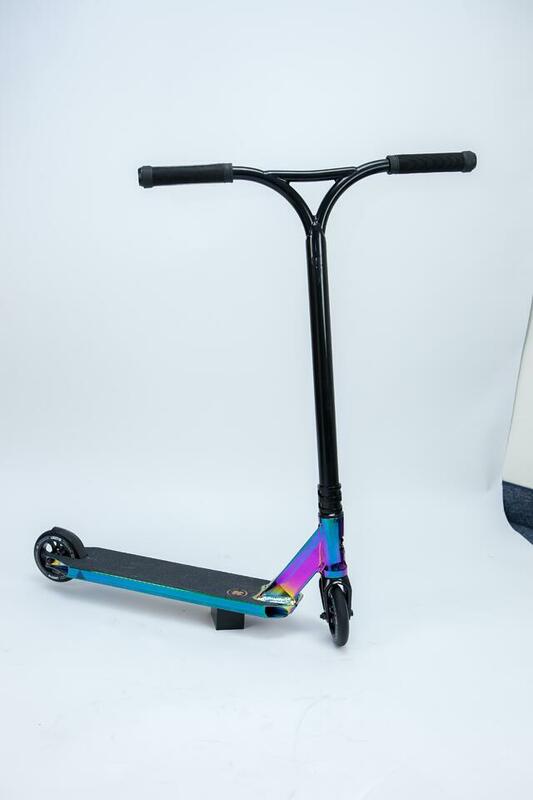 The third most expensive scooter in the the deep roots collection is the Covenant. Almost everything on the Covenant is new and we are so stoked on how it came out! Learn about some of the sick new parts on this whip by reading the paragraph below. The first new part on the Covenant complete is the bars. Basically we took a tuckno bar and brought the middle cross bar up a bit to give it a different look and improve the strength. I think it looks sweet! The Covenant has a metal HIC shim for reinforced strength as well as 110mm Toaster wheels! Now to my favorite part on the Covenant: the Covenant deck. 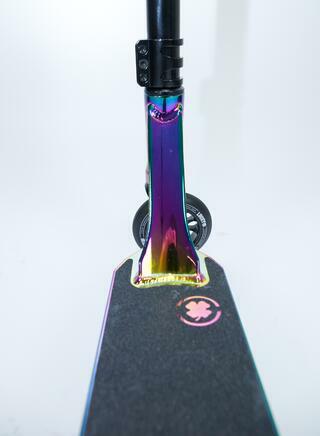 The deck comes in a ton of new colors which include Oil slick. Another cool thing about almost all the new completes is the artwork. 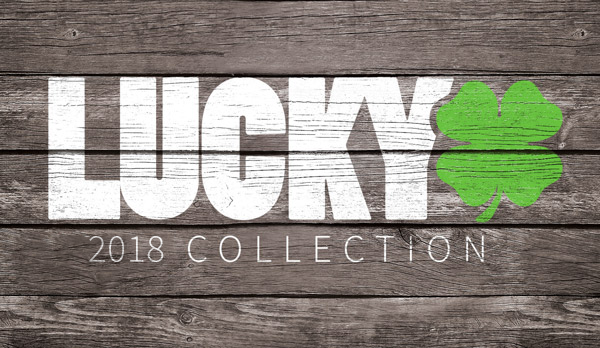 Designed by a local artist named Shogo Ota the new graphics will blow your mind. The final “new” part on this complete is the fork. 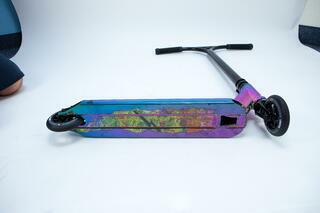 We expect the Indy fork to be our best seller and after you see and ride it, you’ll understand why!